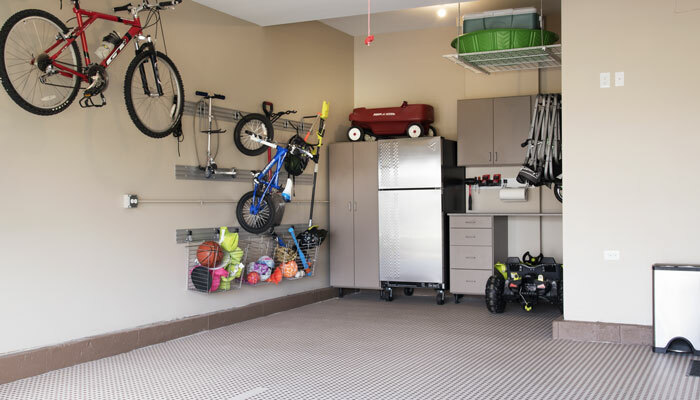 Most times a garage is just a place to keep your cars, but often it becomes so much more. 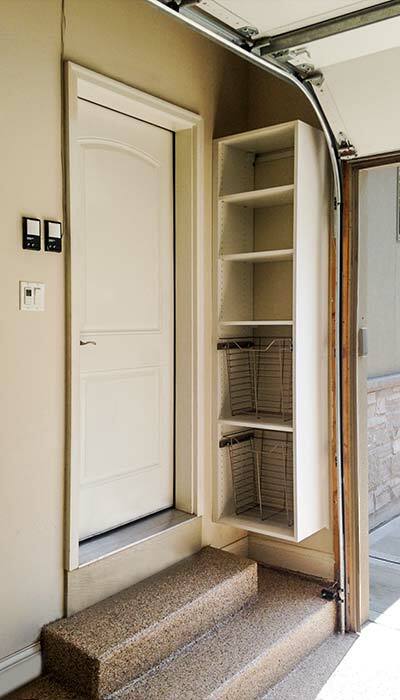 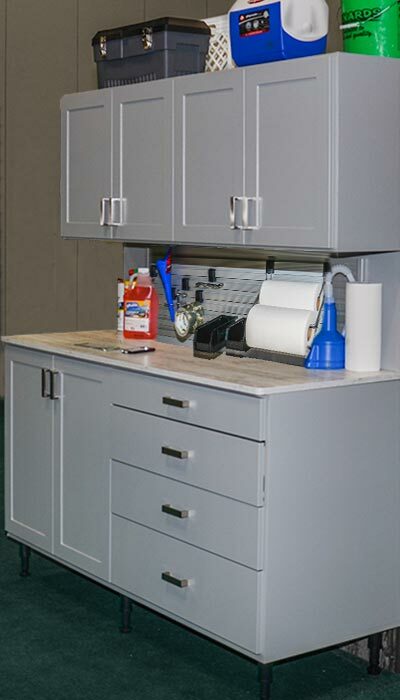 A well-designed garage cabinet system will allow your garage to serve multiple functions. 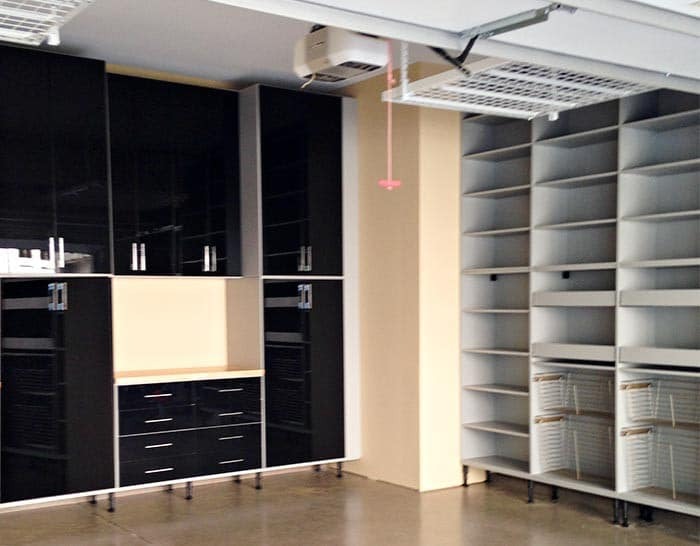 Whether you are a car enthusiast, hobbyist, or sports fanatic, we can design a custom garage or man cave just for you. 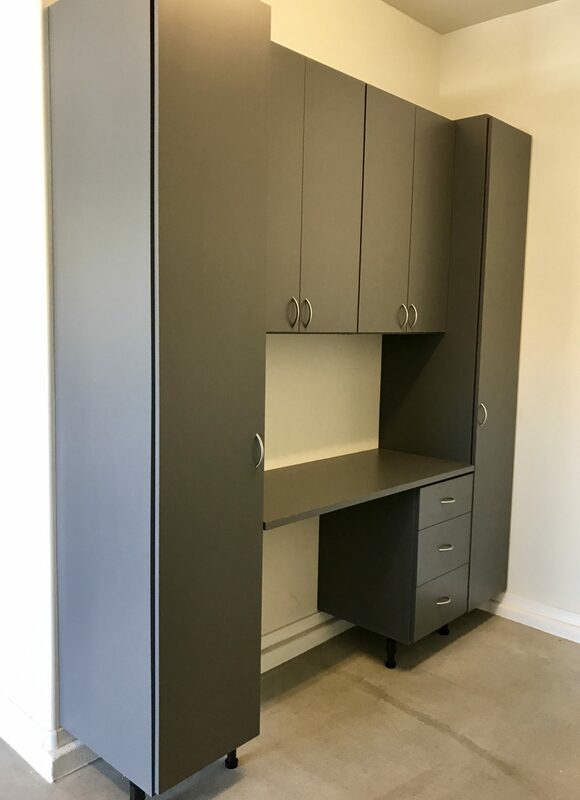 We understand that guys need an exclusive space to hang out. 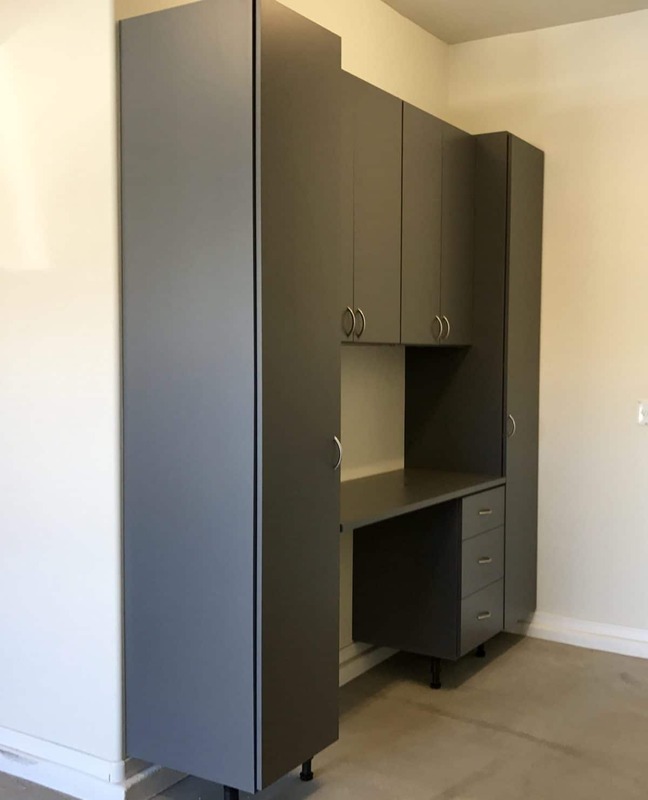 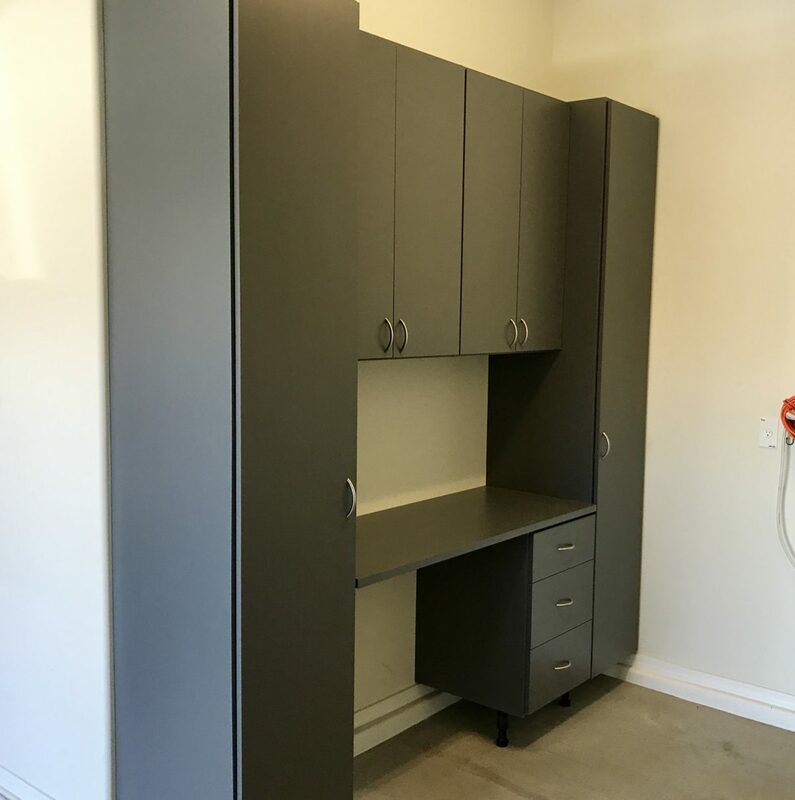 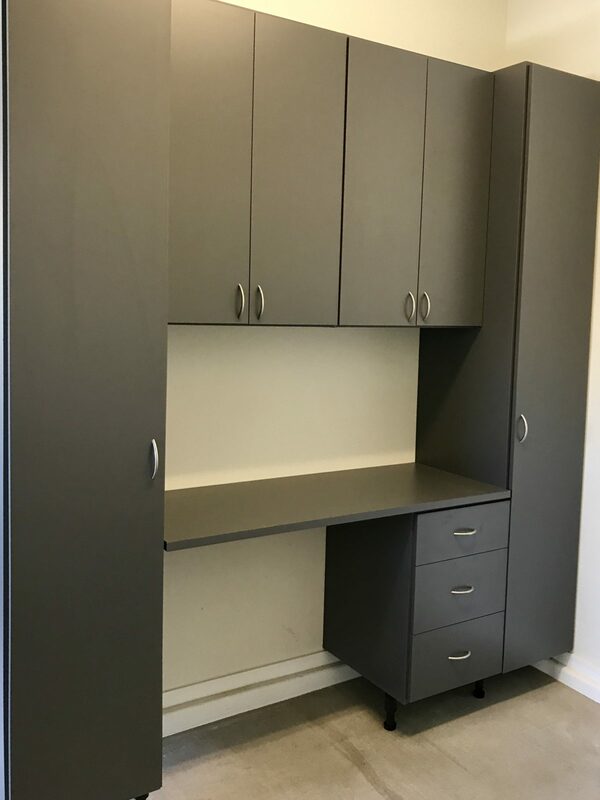 We can add your typical storage cabinets, workbenches and wall track systems, but we can also add a built-in bar, an entertainment center, a library, a game area or even an office inside this often overlooked space. 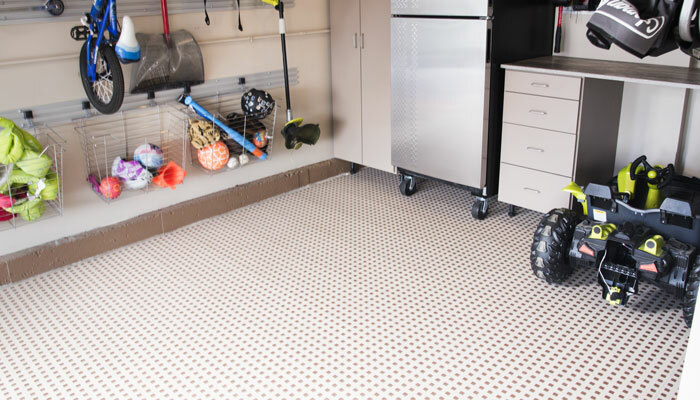 Turn the valuable square footage inside your garage into an extension of your home’s living area. 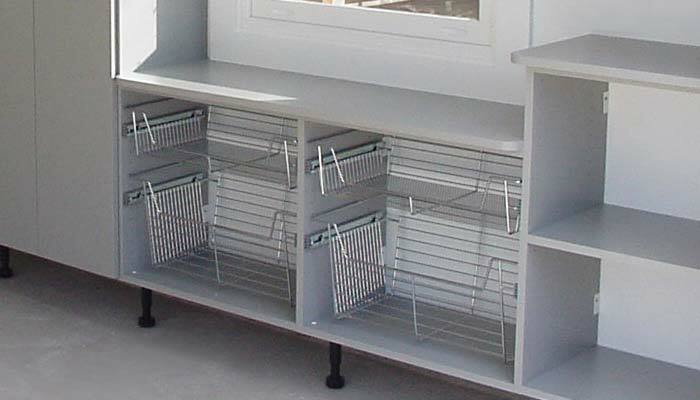 Commercial grade materials, constructed of furniture-quality components. 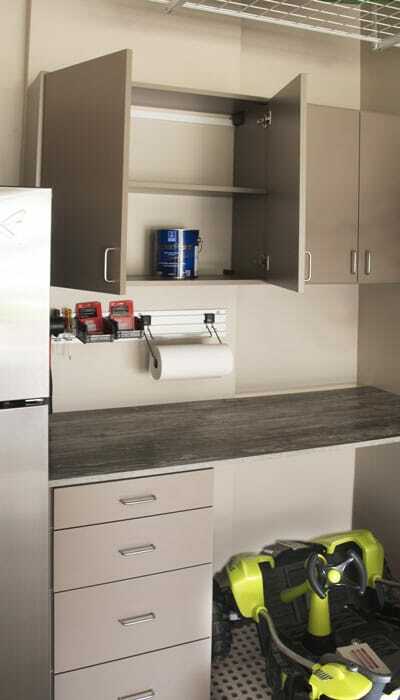 Easy to clean, ¾” durable thermally fused laminate material with edge banding on all exposed edges. 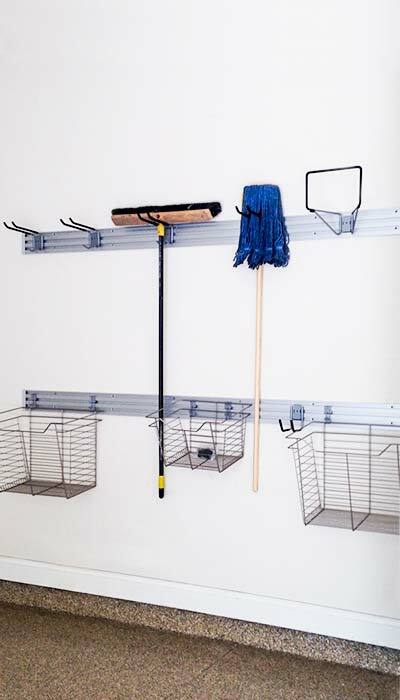 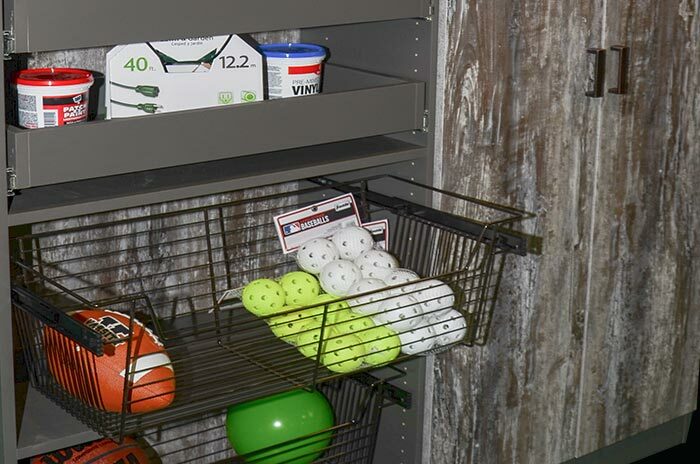 Fully adjustable shelving, so as your needs change your custom garage storage system can adapt with you. 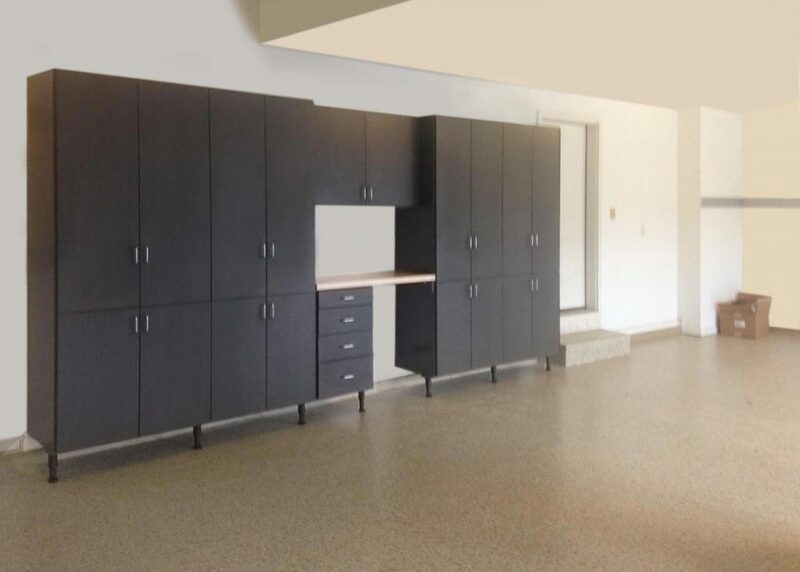 Suspended system supported by adjustable leg levelers keep cabinets off your garage floor. 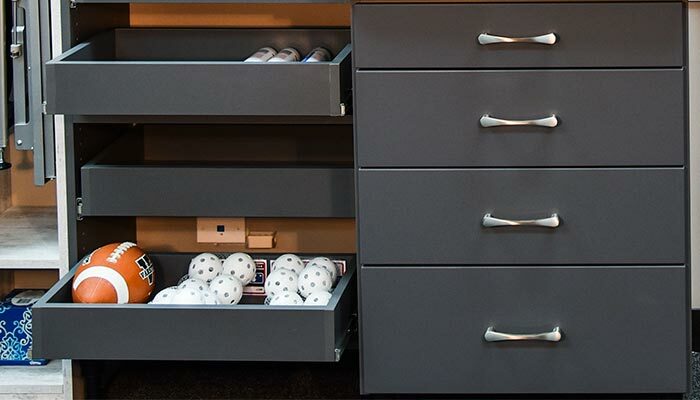 Birch, dovetail under mount drawers with soft-close feature. 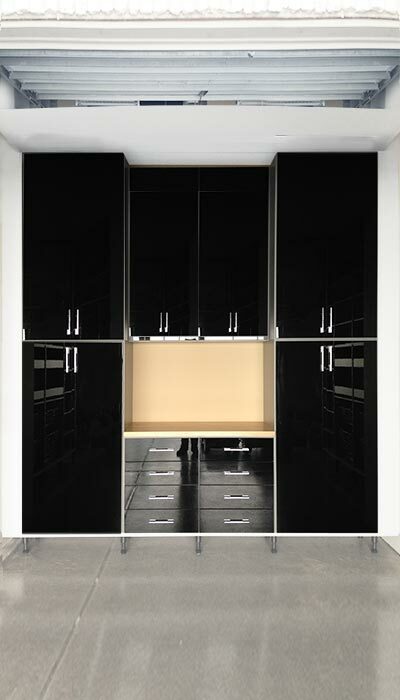 34 laminate colors and 9 high gloss laminate colors to choose from. 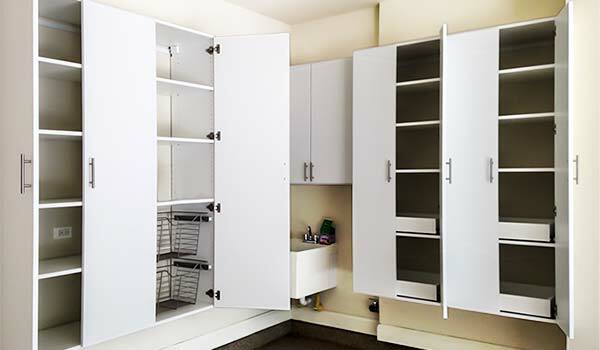 We offer 5 upgraded colors priced the same as white. 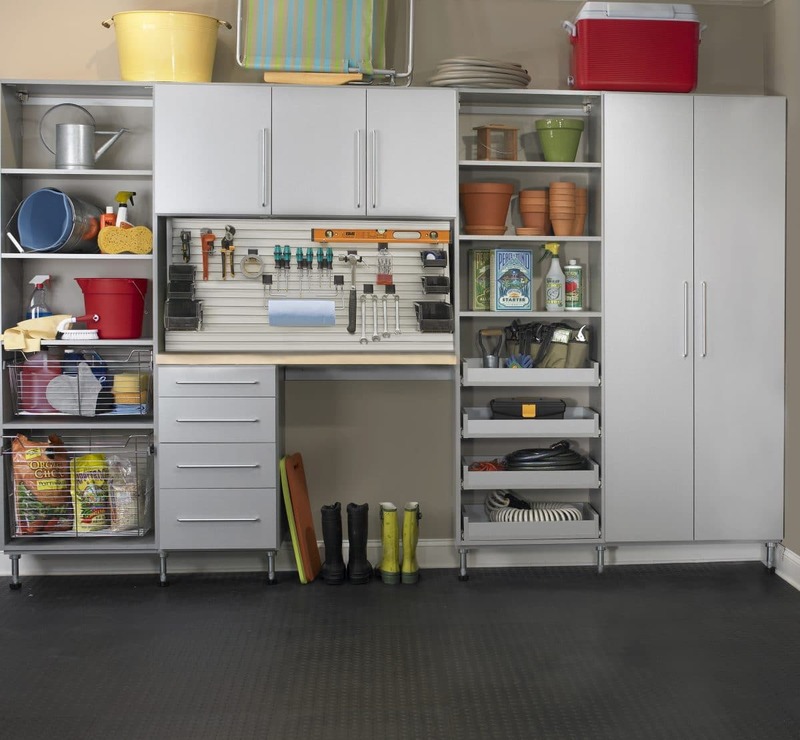 No other garage or closet company can offer this deal! 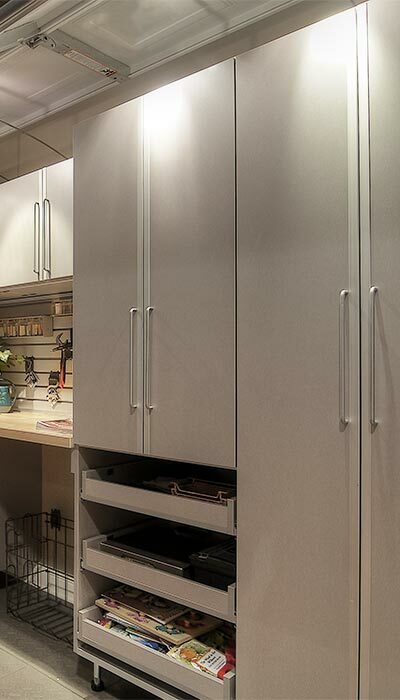 Cabinet doors, drawers, hardware and accessories come in 1,000’s of color and style combinations so you can design something that reflects your taste. 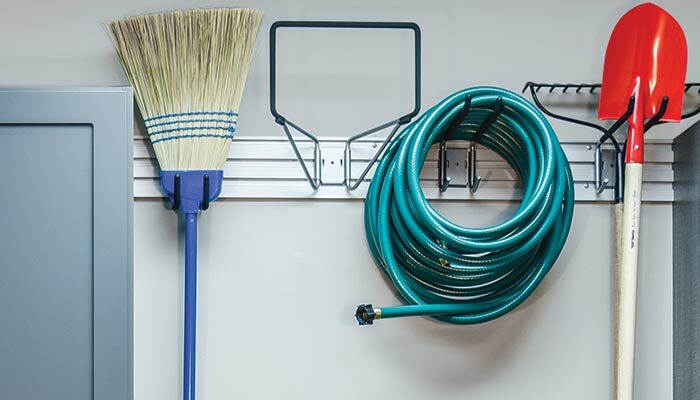 Your garage will look so good; you will want to leave that garage door open to show it off. 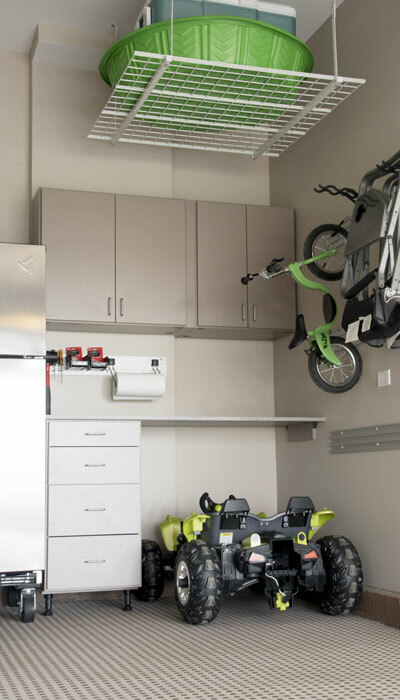 We take exact measurements of your garage. 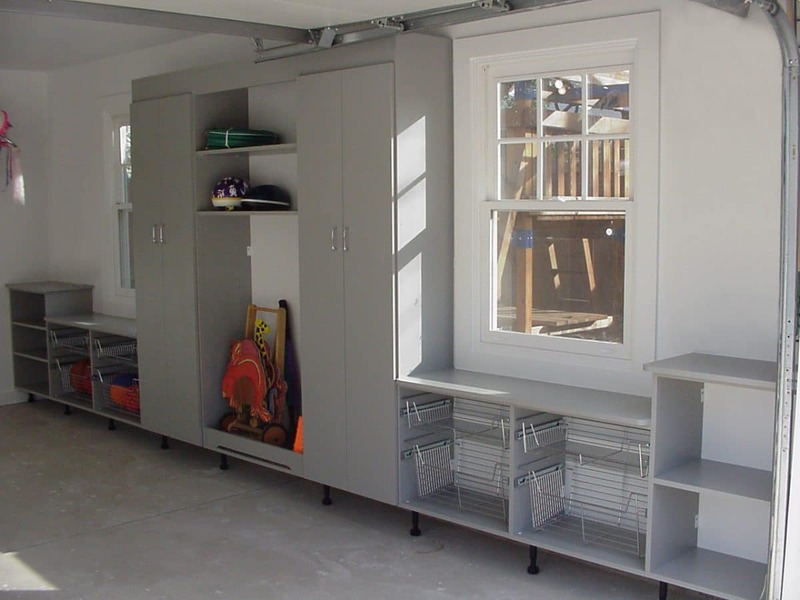 This allows us to maximize the functionality of your garage. 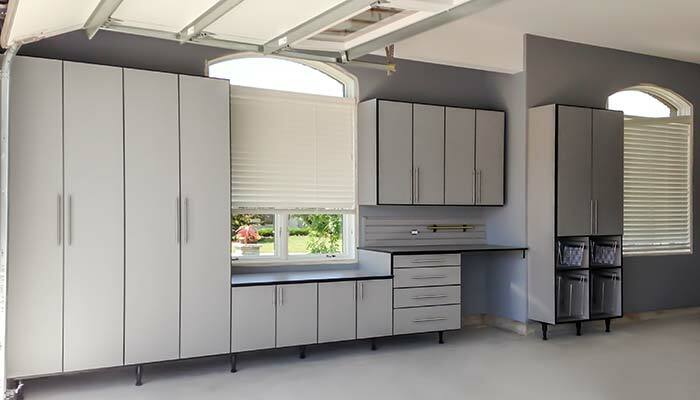 The beauty of a custom garage cabinet system is that it can be designed according to the unique space and needs of each home. 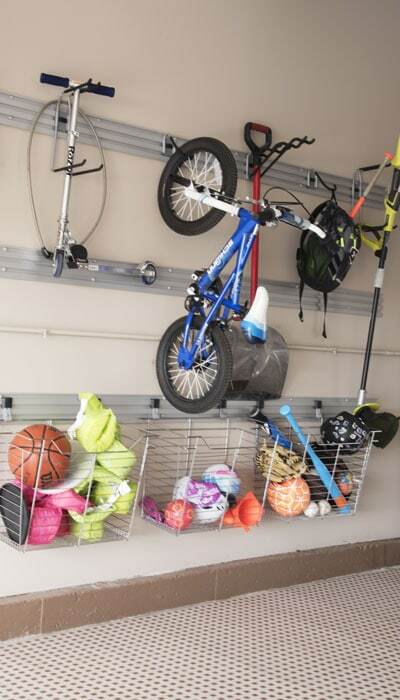 Whether your garage is long with extra room in the front or wide with more room along the side wall, we can help. 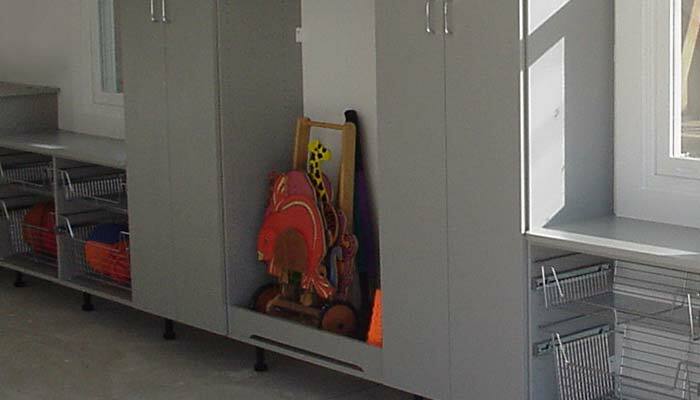 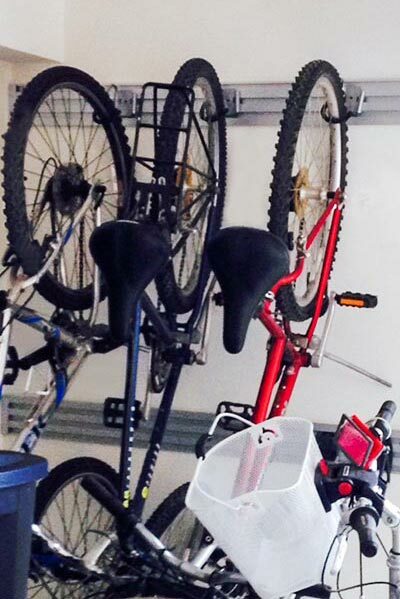 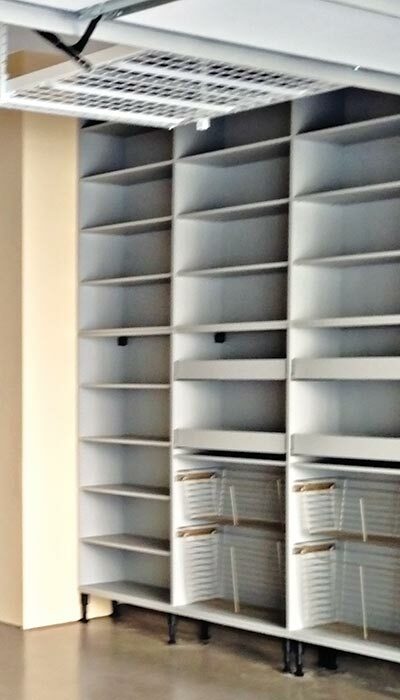 Our team will work with you to design a garage storage system ensuring that everything in your garage has a place. 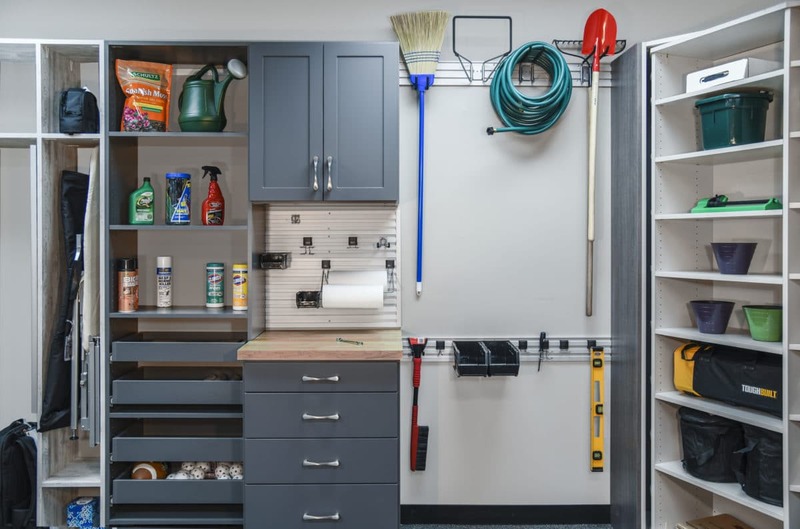 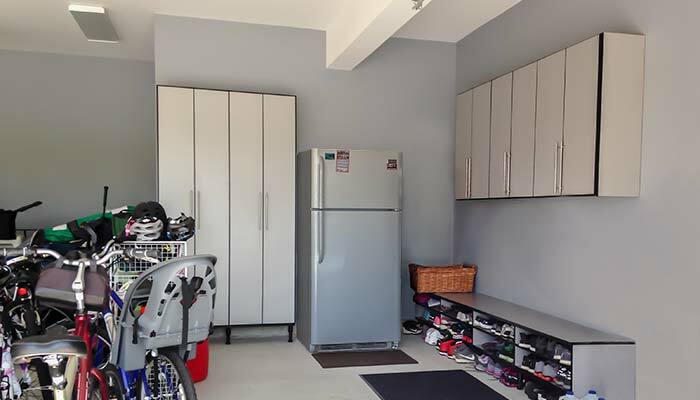 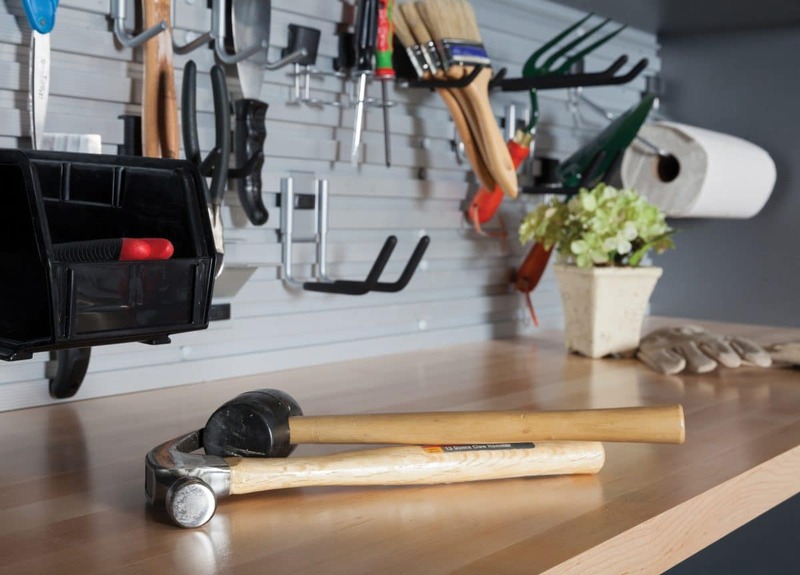 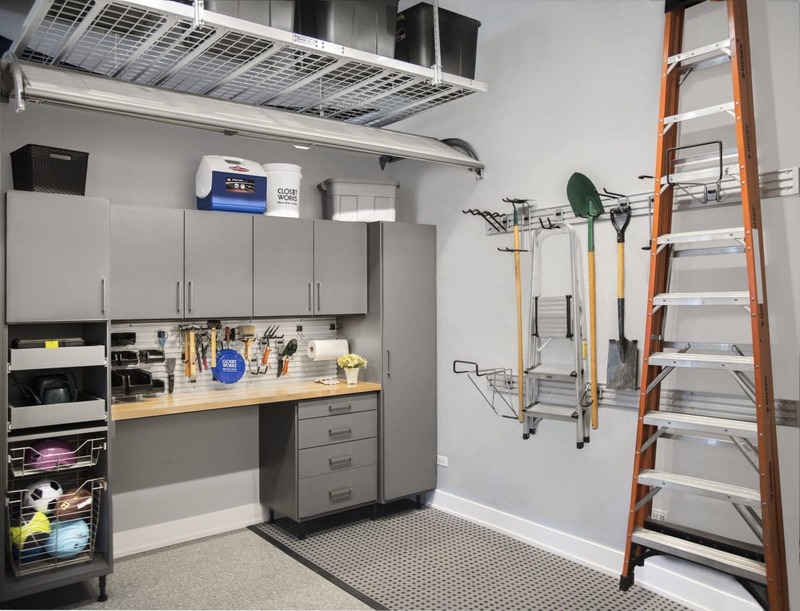 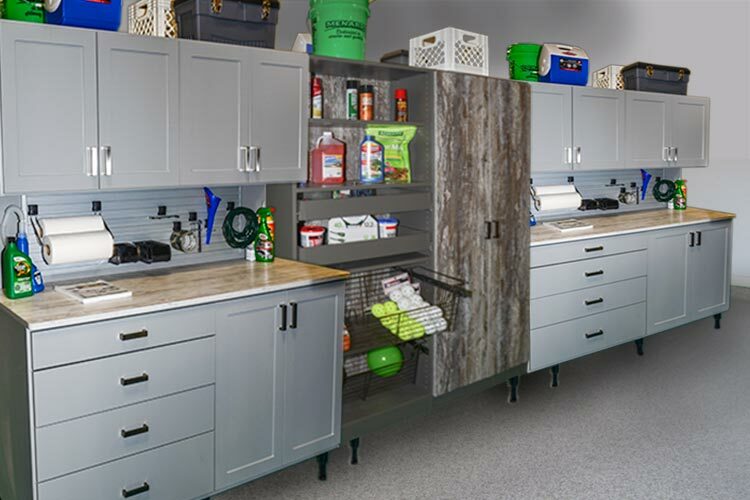 By installing custom garage cabinets, workbenches, garage shelving, overhead storage, wall tracks and numerous accessories, we will maximize your garage storage space. 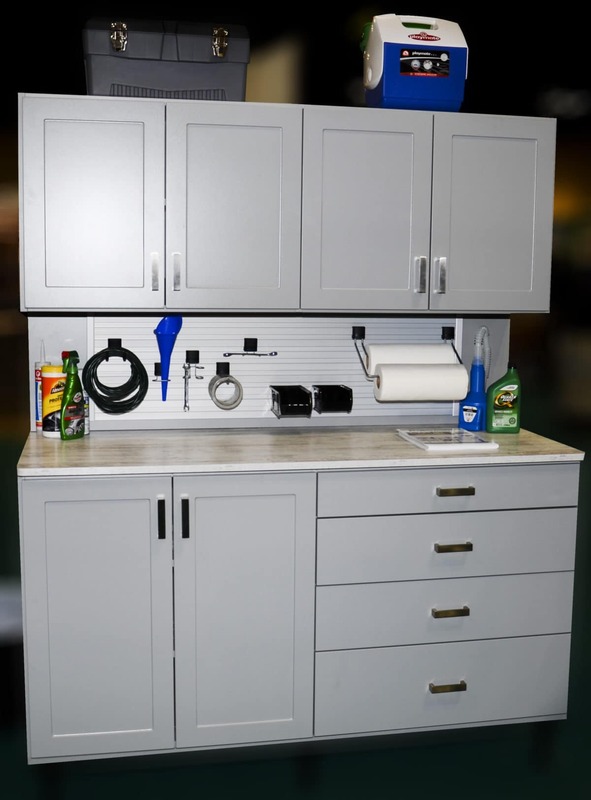 Our garage cabinets are mounted off the floor to prevent water damage and reduce the likelihood of unwanted visitors in your cabinets. 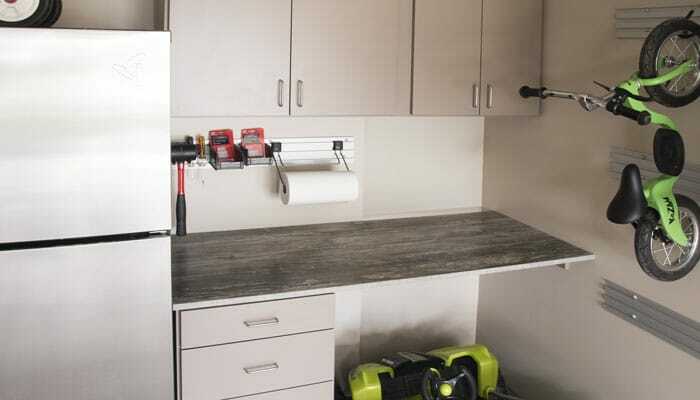 By adding a custom workbench, you can work efficiently, find your tools or even create that perfect place to indulge in your hobbies. 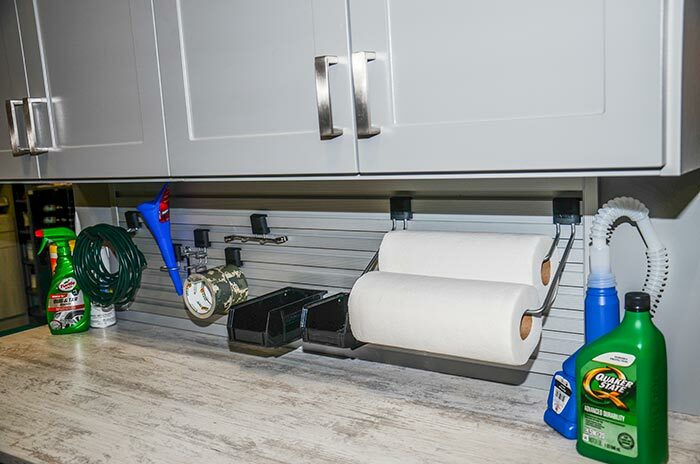 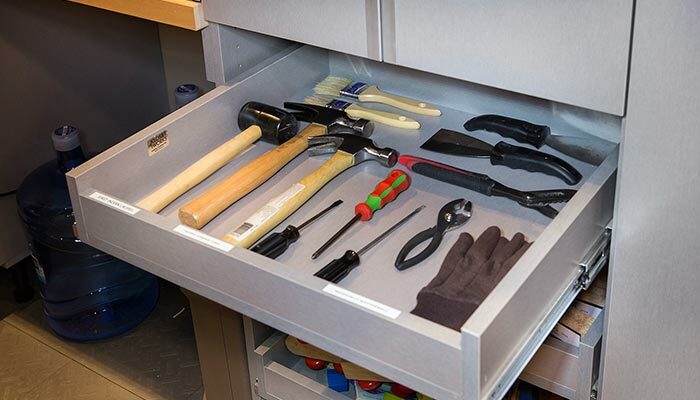 We have pull-out shelves, baskets and custom drawers to properly store tools of all shapes and sizes, making everything easy to find and accessible. 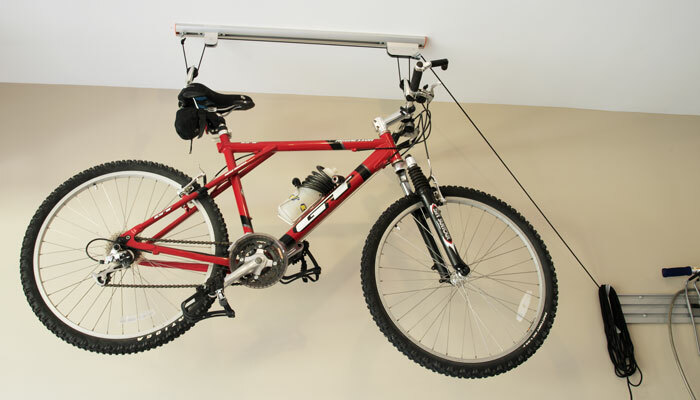 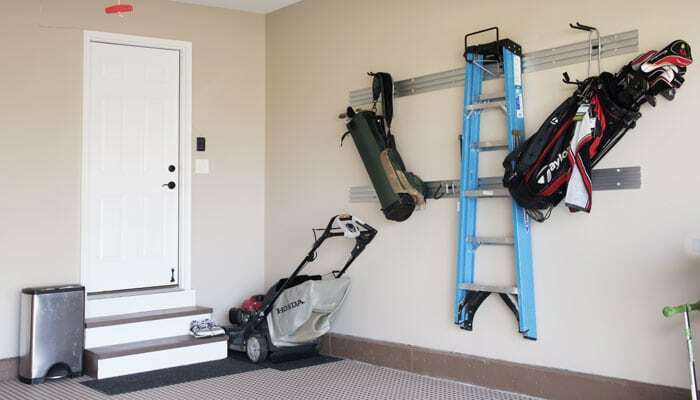 Check out our garage accessories page for more ideas.